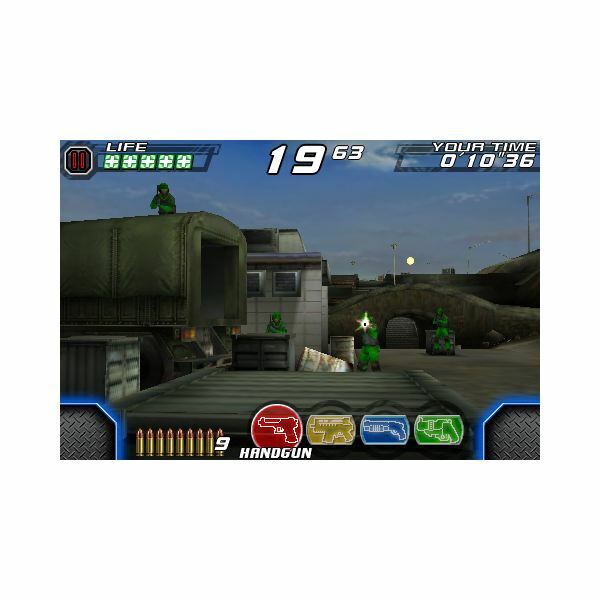 automatically, as you control the gun to destroy various types of enemies. Typically the game is complete with cheesy cut-scenes, a terrible story and a whole lot of sweet shooting action. For those who remember the arcade version of Time Crisis, it likely brings back fond memories of pistol toting action. iPhone shooting games rarely capture that glory, which is quite surprising since the iPhone has a touch screen, perfect for shooting games. 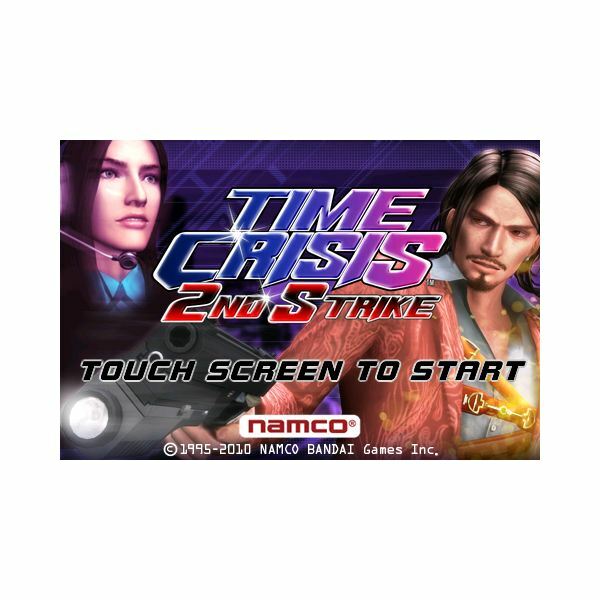 Time Crisis, attempts to be one of the iPhone shooting games that brings true action and arcade shooting to the iPhone via the touchscreen. Time Crisis 2nd Strike is the second installment of the Time Crisis series for the iPhone, with a few simple and subtle changes. automatically through the levels as you eliminate the enemies. The constant driving force to progress is the timer. Each segment must be completed in a particular amount of time. Pressing the buttons at the bottom left or right will cause your character to move into the standing position, enabling you to shoot enemies, or be shot yourself. Shooting is accomplished by using your finger to tap on the enemies. Some enemies require more bullets than others to kill them. arcade game, you have a chance to avoid critical hits by ducking down to hide. You start with several lives and more can be added by picking up health packs throughout the level. Enemies may include vehicles, in addition to enemies on the ground. Gameplay is quite enjoyable in Time Crisis but may become repetitive since the majority of the game is simply tapping on enemies repeatedly. 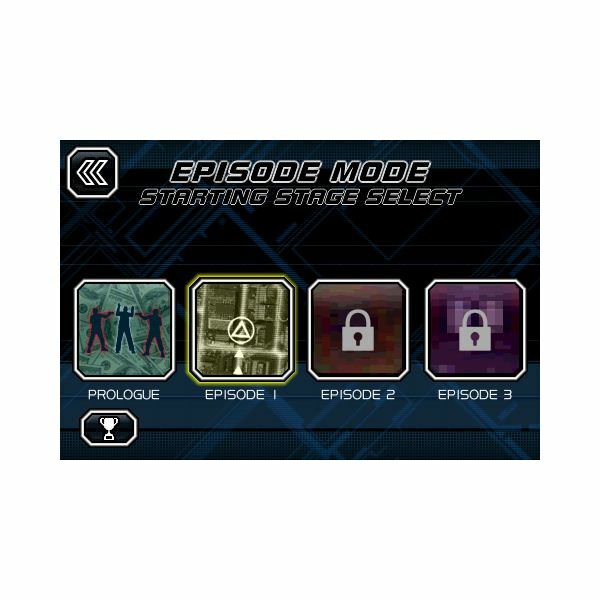 To keep the game interesting, there is a (not very interesting) story, which goes along with each mission. There are several types of weapons, which can be picked up from dead enemies. These includes things such as pistols, rifles, machine guns, shotguns, grade launchers and of course, several types of grenades. Time Crisis 2nd Strike is not a bad game. In fact, it does bring some new life to iPhone shooting games, at least those of the touch type. While Time Crisis 2nd Strike can’t live up to some of the bigger iPhone shooting titles, it does do a great job at providing a fun experience for a while. The graphics and sound in the game are decent, and gameplay will keep you entertained the first time around. Unfortunately there is not much replay value and the game becomes repetitive quickly with the tap to shoot style gameplay. Fans of the Time Crisis series will likely find this to be a welcome addition to the mobile Time Crisis games.